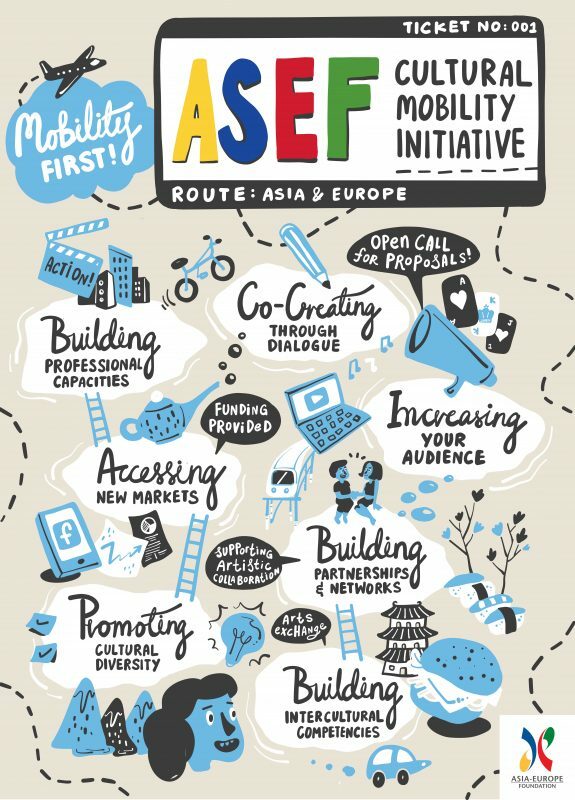 To commemorate its 20th anniversary, ASEF has recently launched Mobility First! - ASEF Cultural Mobility Initiative, a new fund that supports the movement of artists & cultural professionals to be able to participate in key cross-border activities in Asia & Europe. The 19th edition of Far East Film Festival (FEFF) (20-30 April, Udine, Italy) is among the first projects to be supported by Mobility First! FEFF is regarded as one of the most important festivals of Asian cinema organised by Centro Espressioni Cinematografiche (C.E.C. ), a cultural association supported by the Italian Government, the Friuli Venezia Giulia Region, and the Udine Provincial and Municipal Authorities. This year, FEFF will host the 3rd edition of Far East Film Campus, a writing & editorial workshop for young, aspiring film journalists under 26 years old. Through Mobility First! ASEF will support the participation of Megumi ARITA (Japan), Maja KORBECKA (Poland), Joshua LIM (Malaysia) & Paige LIM (Singapore) to attend the FEFF Campus. Together with the other participants from Asia & Europe, they will experience the festival first-hand while taking part in a training programme that includes seminars, interviews & workshops that focus on both the art of writing and cinema. The participants will learn how a festival works, how to write about film & how to interview guests. They will also pick up techniques on how to be successful in the media world of today by being a part of a writing & editorial team that explores not only traditional media but also contemporary social media. By enabling the mobility of the selected participants to FEFF, ASEF continues its support for capacity building for young film professionals.